Immerse yourself in the fabulous, the interesting and the fun! This testimonial is from our newly live clients Peacock & Sussex, run by long time friends Heather & Charlotte. What do Peacock & Sussex do? Peacock & Sussex is a new Home Accessories online shop, dedicated to sourcing and selling the fabulous, interesting and the fun. The brand is committed to finding new and interesting products for your home, that will not only be just that little bit different, but will always be utterly cool. Peacock & Sussex is named after Heather and Charlotte's Mums; their style and interior inspirations. Mummy Peacock and Mummy Sussex. The brand owes much to two inspirational women who taught Heather and Charlotte about finding real joy in objects in the home, how to dress a space and utter tenacity. 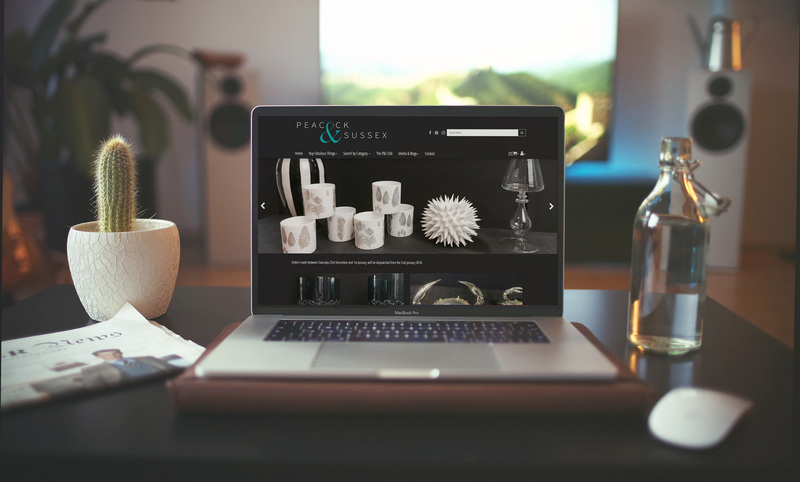 "The process of designing and building the website for Peacock & Sussex couldn’t have been easier with Uporium. Sharlotte guided and helped us through the entire process, from start to finish. We’ve received many comments on the design of the site and are really pleased that our new brand is so well represented online. Our heartfelt thanks goes to the team at Uporium, for their support and skills. A truly great customer service from the entire Uporium team."